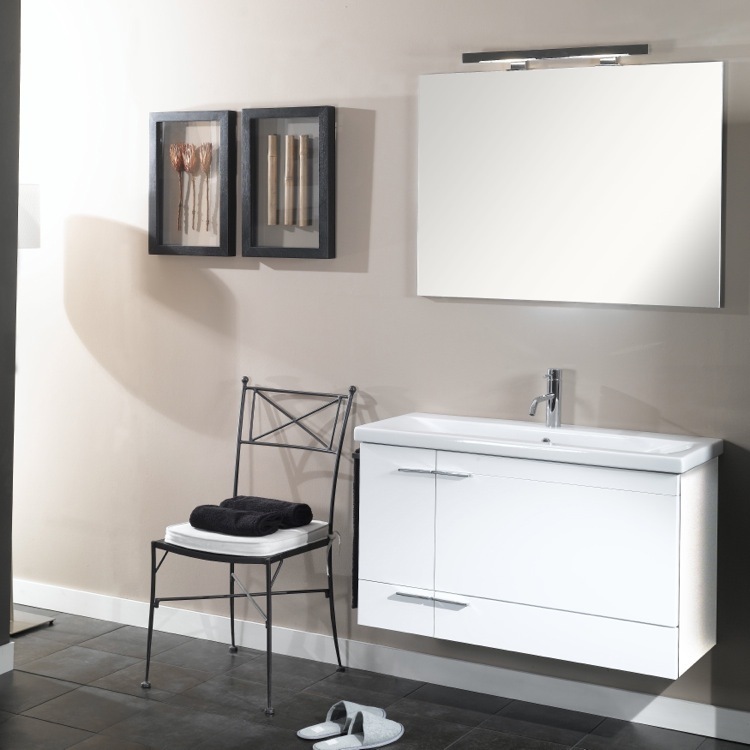 Stylish, hard working and generous storage make this vanity set a great choice for your full bathroom. The five available waterproof finishes include Glossy White, Wenge, Teak, Gray Oak and Natural Oak. You get a wide basin and four full inches of shelf space on the fitted sink. The double offset doors and full width drawer feature soft close runners and closures for long life. The high-tech and high-touch mirror is scratch and corrosion resistant. Comes with vanity light. Imported from Italy.